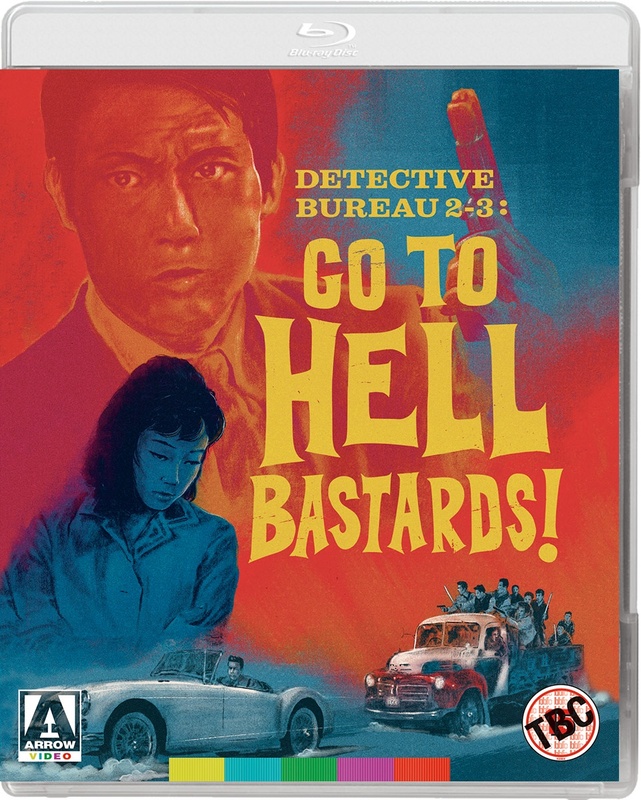 Starring original Diamond Guy, Jo Shishido, Seijun Suzuki's Detective Bureau 2-3: Go to Hell Bastards! is a hard hitting, rapid-fire yakuza film that redefined the Japanese crime drama. Detective Tajima (Shishido) is tasked with tracking down a consignment of stolen firearms, as the investigation progresses things take an anarchic, blood-drenched grudge match. Rapidly paced, darkly funny, and extremely stylish, Detective Bureau 2-3: Go to Hell Bastards! is unlike anything seen before and rightly deserves its cult status. Suzuki's send up of post-war greed would go on to cement his domestic and international status as one of the leading directors to come out of Japan. This HD transfer blu-ray also comes with an interview with film historian and Japanese cinema expert Tony Rayns.